Day 7 was the start of the all-new Qualification to the Quarter-Finals at the 2017 FIBA Asia Cup, Korea and Lebanon advancing. Check out all the recaps and highlights from FIBA.com below. Korea will face Philippines in the FIBA Asia Cup 2017 Quarter-Finals after outlasting Japan 81-68 on Monday afternoon. In a game that featured multiple lead changes with neither side being able to gain an edge, Korea caught fire from beyond the arc and opened the final quarter on a 17-1 run to grasp control. Korea held a commanding 74-57 lead heading into the final 4:30 and Japan would not be able to close the gap. Sekeun Oh had 16 points, 4 rebounds and 5 assists for Korea, backed up by 16 points and 9 assists from Sunhyung Kim. Japan's Ira Brown led four players into double figures with 14 points, 5 rebounds, 5 steals and 3 blocks. 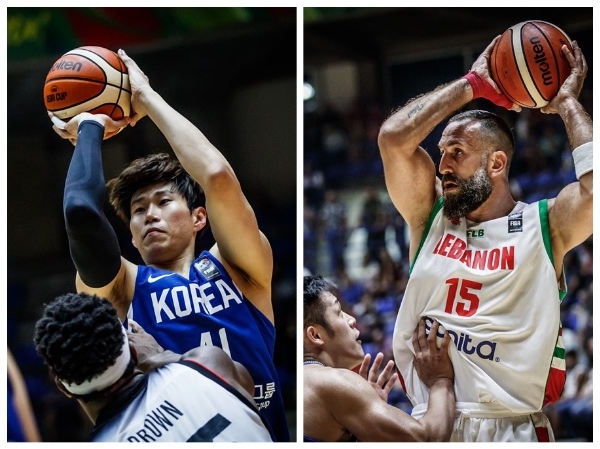 Lebanon advanced to the Quarter-Finals to play Iran with a 90-77 win over Chinese Taipei to round out Monday's action. Fadi El Khatib continued his scoring tear, finishing with 30 points and adding 7 rebounds and 4 assists, as the hosts answered every Chinese Taipei run to come out victorious. Lebanon shared the ball, registering 26 assists on their 32 field goals, with Ali Haidar adding 16, and Amir Saoud knocking down five three-pointers on his way to 15 points for Lebanon. Yu-An Chiang had 16 points, 6 rebounds, 3 assists and 5 steals for Chinese Taipei, and Cheng Liu and Yi-Hsiang Chou finished with 17 points each.